Drake will give us an update on information he has been gleaning from around the world, and our team has been responding to e-mails from around the world. Only Drake – can answer some of them, and he’ll be doing that on-air. This will weave into the second part of the show. Teri will explain the issue of unalienable rights – what they are – where they come from – why they’re so important. Governments are supposed to protect these rights – not take them. We will open the phone lines for as many calls as time allows. It’s not just our show, folks. It’s dedicated to truth and to you. 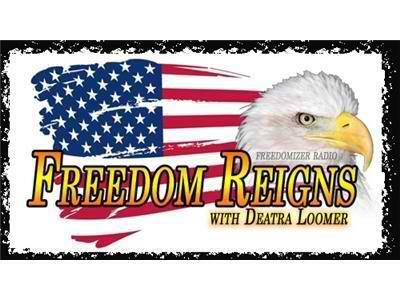 Tune in and help make Freedom Reign – again.